Wood attended the celebrations for the opening ceremony of STAR Refinery in Turkey, on 19 October. 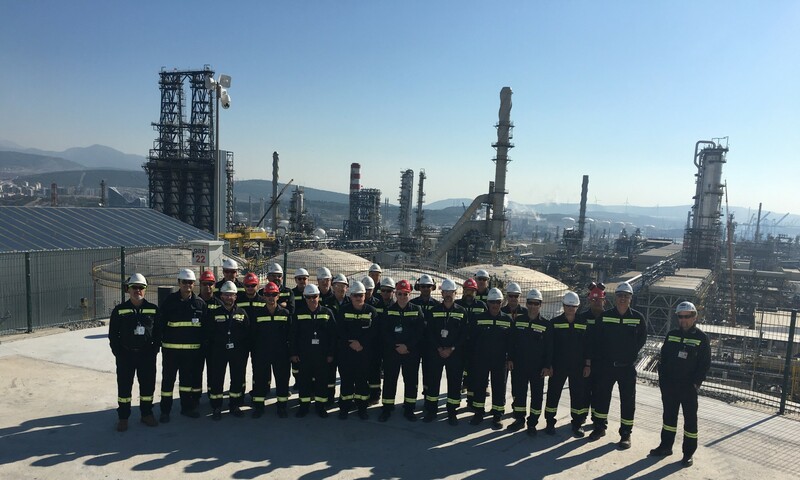 STAR Refinery is the single largest foreign direct investment made by SOCAR - the State Oil Company of Azerbaijan Republic - in Turkey. With a value of around $6.3 billion, it will process 10 million tons of petroleum products a year, approximately one quarter of Turkey's annual petroleum consumption needs. STAR Refinery is being delivered by TSGI, a consortium of Tecnicas Reunidas, Saipem, GS and Itochu. Wood has been executing the PMC services on behalf of SOCAR, since 2014. Our support of the project, however, extends back to when it commenced in 2010 and we were awarded the FEED contract and delayed coker license, implementing our delayed coker technology - SYDECSM - along with other refining technologies contracted by STAR Refinery. For all the project phases, we supplied experienced technical and managerial resources from our three offices located in Milan, Madrid and Istanbul, performing activities both at office and site to enable early mobilisation due to the gigantic scale of the preparation work required, involving 21 million cubic metres of earthworks. The refinery is high conversion, using hydrocracking and coking, with the majority of products being high value transportation fuels and petrochemical feed-stocks. So far, over 130 million manhours have been expended to construct the greenfield facility, consisting of 12 main process units, including Wood’s licence coker, utility production/processing, storage, 3 import/export jetties, and associated infrastructure. The first units start-up this month, with all units in production by the end of 2018. The event marking the milestone of its opening, took place at the project site in Aliağa, near Izmir on the Aegean Sea, and was attended by the Turkish President, Recep Tayyip Erdogan, and the President of the Republic of Azerbaijan, Ilham Aliyev, government representatives of both states and SOCAR executives.